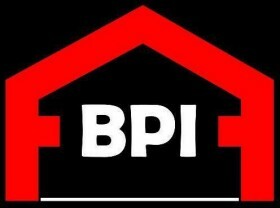 Then a BPI Sunshine Coast Pool inspection is for you. Our inspections adhere to the Pool Safety Standard (Queensland Development Code – part MP3.4, Australian Standards 1926 – 2007 parts 1 & 2). We also abide by all other standards under the Building Act 1975 for ‘ensuring the safety of persons under a regulated pool’. You will gain a Pool Safety Certificate (Form 23) within 2 business days and your pool will be placed on the Pool Safety Register. You will be issued with a Pool Safety Nonconformity Notice (Form 26). The inspection report you receive will outline the items that need rectification (with photos) and you will have 90 days from the date on the form to rectify these. Our Inspector will be able to give advice on the non-compliant issues and can complete minor pool safety repairs if needed. The pool will be registered as Non-compliant under the Legislation and the re-inspection will need to be completed by the initial Licensed Inspector (us) so you can receive your Pool Safety Certificate. To book your re-inspection, just phone our office and you will receive your Pool Safety Certificate within 2 business days of the successful re-inspection. Questions? Feel free to contact us here or call 1800 663 390. Need a quote? Fill in our quote form on the right and we’ll get back to you shortly. Pool Gates – Ensure gates swing away from the pool and the gate must self-close and latch shut from any position. The latch must be more than 1.5m off the ground. Dividing Fences – Boundary fences into pool areas must be 1.8m high and must not have climbable rails or objects on your side (the pool side) of the fence. Alternatively the boundary fence can be 1.2m high with a non-climbable zone of 1.2 m on the neighbour’s side. See information from the QLD Government regarding Pool Inspections.